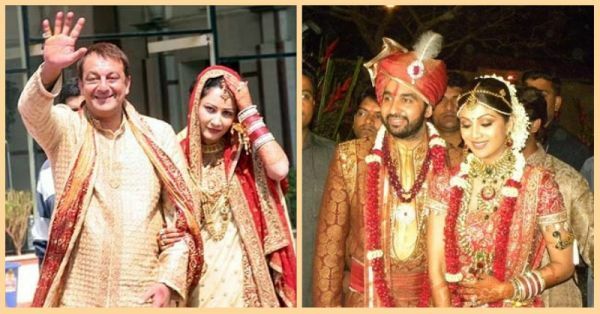 #ThrowbackThursday- All The Bollywood Celebs Who Got Married In The Last Decade! Looking at wedding pictures is always fun, be it your own or somebody else's. And if the 'somebody else' in question is a Bollywood celebrity, our excitement goes up by a notch. There is a certain aura and mystery around celebrities that makes everything about them a little more exciting, especially their shaadis. So ICYMI, here's a quick trip down the memory lane - all the Bollywood celebrity weddings of the last decade! Sanjay Dutt had been married and divorced twice before he met Manyata and fell in love with her. There is a 20 years age gap between Sanjay and Manyata, but that didn't stop them from taking their relationship to the next level. Sanju baba's sisters Priya and Namrata were against this match and did not attend the wedding. It took some time, but the family warmed up to Manyata, especially after they saw how she stood like a rock beside him during his jail term and other hardships. The couple has two lovely children Shahraan and Iqra. Shilpa and Raj have a very interesting love story. They met during business meetings when Raj was helping Shilpa promote her perfume, S2. From there a friendship began and soon blossomed into love. There was a lot of speculation and allegations that the couple faced during their courtship, but they stood strong and now are a happy trio, both of them and their son Viaan Raj Kundra. Theirs is a very cute love story. They dated for around 8 years before tying the knot in a simple ceremony to seal their bond. They have an adorable baby girl now named Imara and all of them look so adorable together. Do we really need to say anything about these sweethearts? 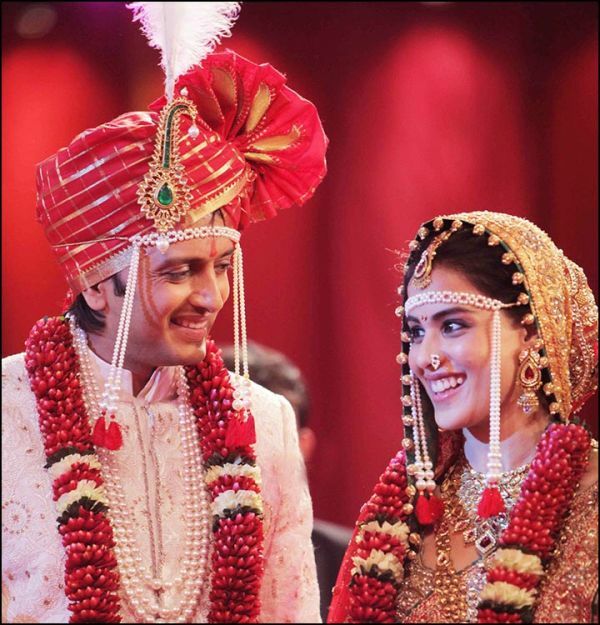 They met at the Hyderabad airport when Genelia was all of 16 and Ritesh was 25. They were at the test shoot for Tujhe Meri Kasam which later happened to be their first movie together. They became best friends during the shoot of the film. There were no formal proposals, no dates, nothing. Just a feeling that they felt complete with each other. They eventually got married in a beautiful ceremony and are proud parents of two lovely boys, Riaan and Rahyl. They got attracted towards each other while filming Tashan and slowly and steadily fell in love. It was not a smooth journey for them, at all. They came from different cultures and religious backgrounds but these things never affected them. It was a classic case of Prince fell in love with a Princess, she fell in love with him too, they got married and had an adorable muchkin 4 years later, the tiny tot Taimur Ali Khan. Vidya and Siddharth met backstage during the Filmfare awards ceremony. Bollywood's most loved cupid Karan Johar was the one who formally introduced them because he knew they would be good for each other. Vidya and Sid finally started meeting more often and fell in love. But they always kept their relationship private. Their wedding came as a surprise to many. They got married in a low-key affair with only close family and friends present at the do. But that's how they like it and they are perfectly happy in their conjugal life. They first met on the sets of Dhoondhte Reh Jaoge but didn't talk much because they were quite different from each other. Then they met again on the sets of 99 where Soha got attracted to Kunal because of his persona. They started going out and after a long courtship period of around 7 years, they tied the knot in a private but gorgeous ceremony. Their little bundle of joy arrived in September 2016, and they named their girl Inaaya Naumi Kemmu. The cutie Shahid Kapoor broke many hearts when he tied the knot with Delhi-based Mira Rajput (who is 13 years younger to him, BTW) in an arranged marriage set-up. They got married in Delhi and hosted a star-studded reception in Mumbai a few days later. They have a baby girl Misha and another kiddo is on the way. Their marriage is an example of the fact that arranged marriages can be full of love too. Harbhajan saw her in the song Woh Ajnabee and was completely smitten by Geeta, there and then! He asked a friend for her number and messaged her saying he wanted to meet her. Geeta didn't reply for a couple of days and then a few days later, replied saying that she was proud of his performance in the T-20 World Cup. They eventually got a chance to meet during IPL and after that they went for a coffee date. They first became friends and before they knew it, it was love. They are now happily married and proud parents to their baby girl Hinaya Heer Plaha. The pretty actress at the peak of her career and a humble but successful businessman, who met and fell in love - a classic love story, right? Well, Akshay Kumar played cupid for Asin and the owner of Micromax, Rahul. They met and realised they were perfect for each other. Asin decided to leave her acting career post marriage and settled with her husband in Delhi, where they are living a happy married life. They welcomed an adorable baby girl in January this year. After a bitter break-up with Ness Wadia which left everybody shocked, Preity fell in love with this amazing guy whom she met while in LA. They dated for five years before they finally tied the knot in 2016. The love story of Urmila and Mohsin is very filmy. Mohsin is a Kashmiri who comes from a family of businessmen. He tried his luck at modelling and acting while Urmila was a popular name. He is almost 10 years younger to her. They met at Manish Malhotra's niece's wedding and Mohsin was completely smitten by Urmila. He wooed her for over a year before she finally gave in. And hey, look where it got them. Their wedding was a close family affair and they are now living happily in matrimonial bliss. Their raging love story caught many headlines for a long time and was fodder to a number of gossip mills. Karan and Bipasha met and got attracted to each other on the sets of Alone. Attraction turned into love and after dating for a considerable amount of time, they took the shaadi plunge. Karan was heavily criticized as it was his third marriage, but neither he nor Bips ever let that affect their relationship. They have been married for over two years and they make it look like so much fun! Not much is known about their love story except for the fact that they dated for over a year before Dino proposed to Lisa in a fairytale setting in Paris. This was followed by a dream wedding in Europe and the couple now have a baby boy named Zack. Yuvraj persued Hazel for years and years before she finally decided to meet him for coffee. Then after a lot more persuasion, she accepted his proposal. They started dating and Yuvi proposed her for marriage with the perfect ring in Bali. They share a very special bond and unconditional love for each other and even though the love story took time, they finally found bliss. Nauheed Cyrusi surprised her fans and media by secretly getting married to her long-time boyfriend, Rustom. 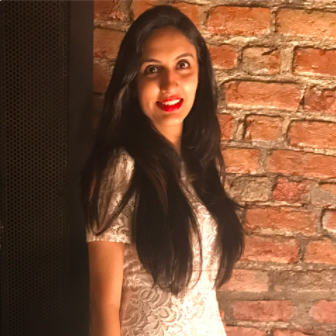 The couple had an intimate Parsi wedding in January 2017 in the presence of their family and close friends. Neil Nitin Mukesh and Rukmini Sahay had an arranged marriage that soon turned into love for the both of them. They had a royal but intimate wedding in Jodhpur and later hosted a reception in Mumbai for the industry. They are completely smitten by each other and are expecting their little one soon. The Aisha-fame actress got married to Mumbai-based restaurateur Imrun Sethi in a lavish ceremony in Bangkok. Not much is known about their love story but we do know that they make a stunning pair! In a day and age of Tinder romances, here is a story that truly warmed our hearts. Sagarika and Zaheer fell in love the conventional way and kept their relationship under wraps for the longest time. Despite rumours being abuzz about them after they made a joint appearance at the Yuvraj-Hazel wedding, they only made their relationship public with an announcement about their engagement. They are truly made for each other! This was the one wedding which sent the entire country into a happy frenzy. Even though there were a lot of rumours and speculations about Virushka for a very long time, the duo stunned everyone when they posted a picture of their secret Italy wedding on their Instagram profiles. Nobody was complaining though, because, OMG! They are so adorable together! All that jazz about age being an important factor in relationships goes for a toss the moment our eyes land on Milind and Ankita. They have a 26 years age gap and yet, they are happily married to each other. They have a very strong bond, share similar interests and make for a very good-looking and enthusiastic couple, and in the end, isn't that what matters? The cuties that we just can't get enough of. One of them is a successful and established Bollywood name and the other one is a super successful businessman. And most importantly, Sonam and Anand are head-over-heels in love with each other. Now that is the best recipe for a perfect and happy marriage. Another couple who surprised everybody with an Instagram announcement of their wedding. Nobody could have guessed that Neha and Angad were a couple. A lot of us knew that they were friends but this came as a complete but beautiful surprise. They are perfect for each other in more ways than one and we couldn't be happier for them. A love story that began on an early morning flight, graduated to Facebook and finally blossomed with Whatsapp. Shweta and Chaitanya had been dating for a very long time before the rapper finally proposed to the Masaan actress in full filmi style at a theatre screening. They had a magical Goa wedding and we are in love with what Shweta wore! It was an amazing trip down the memory lane for us and we hope it was the same for you too!